A softly inflated flexible disc used on chair seats to prevent fatigue, reduce pressure on the tail-bone, and help relieve lower back pain, while strengthening the core muscles and improving posture. It can be used on hard or soft chairs, recliners, car seats, or anywhere you sit. Dual-purpose: Use vertical, horizontal & diagonal lines to square up any 6-1/2in pieced, appliqued or embroidered block. To fussy cut, center a design in the 1in - 6in solid squares. The drilled holes at 1-1/2in - 5-1/2in increments lets you mark & add the seam allowance to fussy cut pieces. Use with your rotary cutter & cutting mat. Cut multiple strips from 1/2in up to 12in, 1/2in increments. Save time on repetitive cuts for strip quilting. Turn Shape Cut after strips are cut to complete squares, triangles, diamonds or chevrons with ease. 12in x 12in. 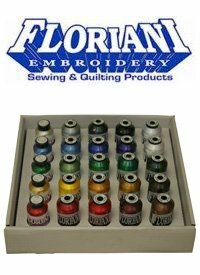 Comes with a mounting kit to attach it to your sewing machine or other objects. Brilliant flexible light for detailed projects. Quality metal flexible arm and metal light housing. 100,000 light hours 120 volts energy effiecnt LED. 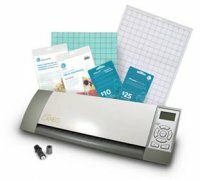 In addition to the Cutter, the bundle includes 12” & 24” Cutting mats, $10 & $25 download cards, Cutting Blade, 1 ea Thick Craft and Thin Sewing Interfacing.